Very special thanks for the first photo of Cymolutes praetextatus to Jim Greenfield, Jim has taken this photo in Anilao, Luzon, Philippines, 2016. Cymolutes praetextatus is a solitary species that inhabits reef flats and shallow lagoons, in sandy, current-swept areas with rubble and weed. 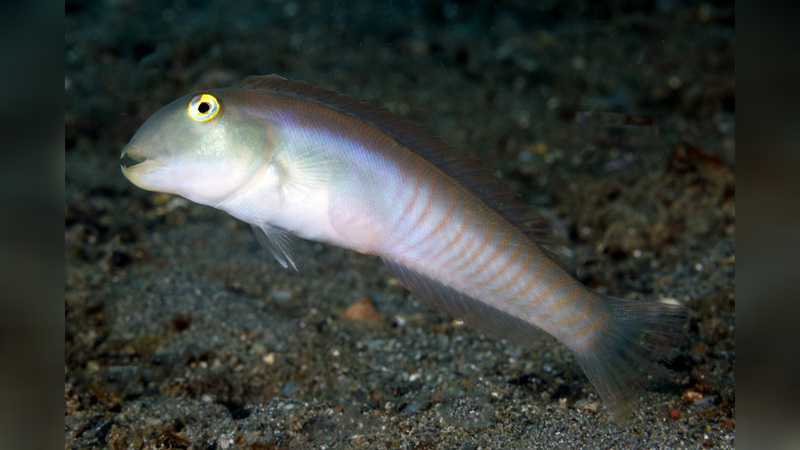 The wrasse feeds on small benthic invertebrates. Capable of diving into the sand with the approach of danger. 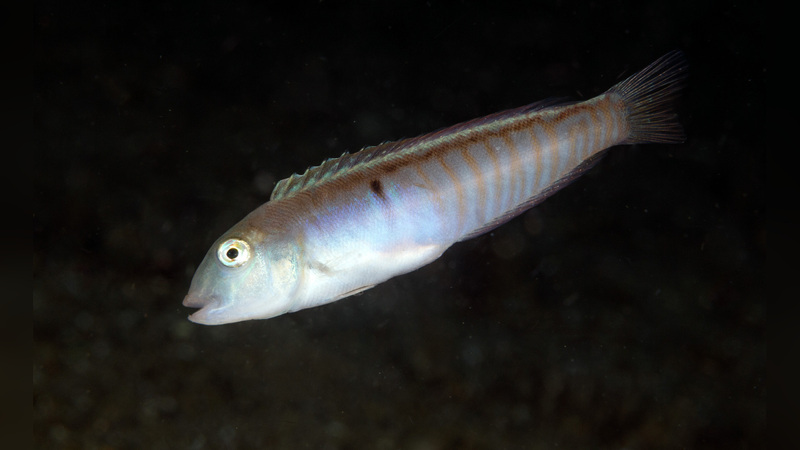 The wrasse is rarely caught by fishers or aquarium collectors.